Like many other people interested in the Titanic disaster (pre-Cameron, anyway), I first got 'hooked' by reading Walter Lord's book "A Night to Remember". In my case, this occurred when I was a teenager in the early 1960's. As this was the only book easily available at the time, the interest died down to be replaced by many other things. When Robert Ballard discovered the wreck in 1985, I became interested again, and started searching out and buying other new books on the subject. Titanic: Fire & Ice (Or What You Will) by Bruce Beveridge, Mark Chirnside, Tad Fitch, Ioannis Georgiou, Steve Hall, J. Kent Layton, and Bill Wormstedt. A hard-hitting analysis of the new Channel 4 British TV program, "Titanic Fire and Ice"
The Facts: What Did the Survivors See of the Break-up of the Titanic? For very many years, many of us thought the Titanic sank intact. And many thought, and still think, that most of the survivors also said she sank whole. But what did the people who testified at both Inquiries actually say? Did most *really* say it sank whole? Shots in the Dark - Did an Officer Commit Suicide on the Titanic in the Last Stages of the Sinking? The Lifeboats of the Titanic - A comparison of the revised timeline to the British Inquiry timeline, along with additional information regarding crew in charge of the lifeboats, and a comparision of lifeboat occupancy. An Examination of David Gleicher's Lifeboat Launch Sequence by Bill Wormstedt, Tad Fitch and George Behe. A number of discussions at Encylopedia Titanica have prompted us to write an analysis of David Gleicher's lifeboat launch timeline, which differs from our own in a number of key points. Comments about any of the above articles? E-mail me by clicking here. Report into the Loss of the SS Titanic: A Centennial Reappraisal. The History Press; December 2011. No individual historian can possibly be an expert on every aspect of his chosen topic, and - as a result - historical errors have a way of creeping into written histories covering most historical subjects. This has been especially true in the case of the Titanic disaster - a subject that has seen a century’s worth of historical errors, misconceptions and outright deceptions gradually become an accepted part of the historical record. Indeed, such errors first began making their appearance during the official Titanic inquiries in 1912, when the vast body of testimony - and a lack of sufficient time to digest or analyze that testimony - resulted in a number of erroneous conclusions being made. The present book is a radical departure from that early tradition, since it has been written by a coalition of experts who have spent many years digesting the original inquiry testimony as well as evaluating a bounty of additional evidence that has come to light in the hundred years since 1912. Each of the book’s co-authors is a recognized specialist in their chosen area of study, and each chapter has been exhaustively researched, analyzed and referenced utilizing the very best evidence that is currently available. The book describes and quantifies the sinking of Titanic as it actually happened, and it authoritatively disproves a number of long-standing myths about the disaster that have taken root over the past ten decades; surprisingly, though, the book also demonstrates that a number of so-called ‘legends’ about the Titanic disaster are actually based in solid historical fact. One hundred years after he sinking of the Titanic, the history of that ship is commemorated in this 2012 incredibly comprehensive volume. 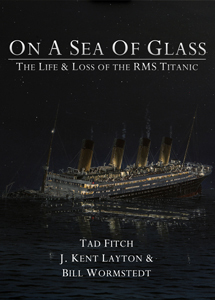 Authored by Tad Fitch, Bill Wormstedt and J. Kent Layton, three well-known and highly respected researchers of the disaster, this book reveals the history of the Titanic as you have never read it before. From the personal stories, to the most accurate timeline of events during the sinking of the ship yet compiled, to the common misconceptions - nothing is beyond this volume's scope. Did ship's officers shoot passengers, or did one commit suicide? 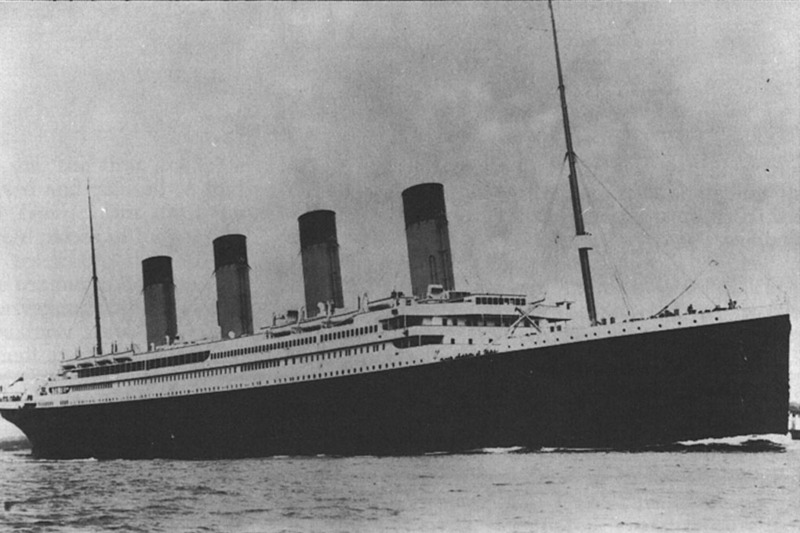 Was the Titanic switched with her similar sister ship Olympic? Was Titanic's construction of a poor nature, contributing to her loss? What became of Captain Smith and Thomas Andrews? How did the ship's final five minutes play out, from a technical perspective? Was the ship trying to make New York on Tuesday night rather than Wednesday morning? All of these questions, and many more, are answered within this volume. This volume is also packed with photos and illustrations, including a full-color section. What music did the Band play that night? Did a man save himself by dressing as a woman? Tad Fitch's Author Page - an overview of Tad's books, both old and new. Michael Tennaro's Titanic Book Site is back! Roy Mengot's The Wreck of the RMS Titanic - Details of Roy's award winning wreck model, along with details of the break-up of the ship. The Titanic Inquiry Project - The full texts of the 1912 Titanic Inquiries - both American and British. Available online, or as a downloadable file. Marconigraph.com - Parks Stevenson's site containing a number of interesting articles relating to the Marconi installation, the White Paper on the Grounding of the Titanic (with author David Brown). Also showcasing Ken Marschall's excellent article on the state of the Titanic wreck in 2001! 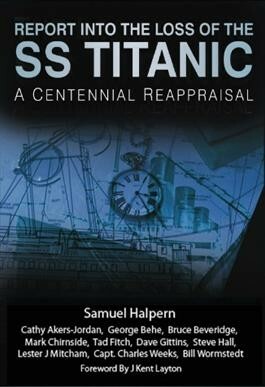 Sam Halpern's Titanicology - A prolific author, Sam has a number of online articles spotlighting the technical aspects of the disaster. Mark Chirnside's Reception Room - Mark has written a number of books on the Titanic, Olympic and Brittanic, and other ocean liners of the period. Dave Gittin's All at Sea - Dave's website contains original articles showcasing his research into the Titanic disaster, and hints on cruising the west coast of Australia, and a link to buying his e-book. Titanic: The Ship Magnificent - A wonderful two volume set of books by Bruce Beveridge, Scott Andrews, Steve Hall, Daniel Klistorner and Art Braunschweiger. Art's Titanic Model - Details in photos and text, of one of the most accurate Titanic models available. Modeled by Art Braunschweiger.